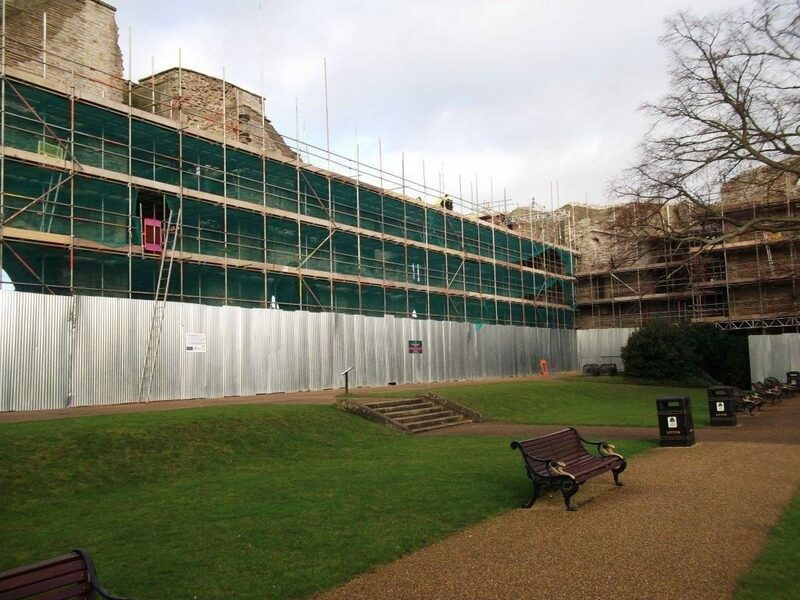 In late 2012 Robert Woodhead’s specialist Heritage unit, Woodhead Heritage were awarded a contract on the EMPA framework as specialist conservation contractors to preserve and protect Newark Castle. Woodhead Heritage are sponsoring the VIP Reception at the Elemental Force event at Newark Castle on Saturday 16th March. • The adjoining grounds, including the newly refurbished gardens remained open to visitors. • Seamlessly integrating new stonework with existing wall fabric. • The works to Newark Castle were the first to several sections of the walls for over 20 years; some sections were significantly degraded. • Complex bespoke scaffolding solution was required. • To maximise revenue for Newark and Sherwood District Council the Castle remained open to visitors throughout the conservation project. This was achieved by safe segregation from the works and gardens using clear signage, corrugated fencing and programming high risk works such as cutting which generates dust pollution outside of the gardens opening hours. • A team of 6 specialist local stonemasons were employed to conduct the works while Blue Lias stone was carefully selected to match the existing fabric. • Good conservation principles were observed, using minimal intervention and quality craftsmanship. Works were not undertaken during inclement weather and pinning and dowelling techniques were used to retain as much of the historic fabric as was safe to do so, rather than replacing with new. The Head Stonemason has previously worked for English Heritage for a number of years, running the North/East area, and having now set up his own successful business, still employs the fundamental criteria, as used by English Heritage, being the voice of conservation in the UK. • Scaffolding was provided by an approved local subcontractor who specialise in bespoke scaffolding solutions.